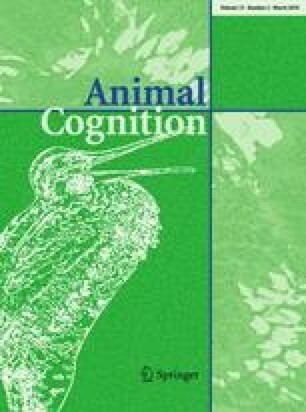 There is contention concerning the role that domestication plays in the responsiveness of canids to human social cues, with most studies investigating abilities of recognized domestic dog breeds or wolves. Valuable insight regarding the evolution of social communication with humans might be gained by investigating Australian dingoes, which have an early history of domestication, but have been free-ranging in Australia for approximately 3500–5000 years. Seven ‘pure’ dingoes were tested outdoors by a familiar experimenter using the object-choice paradigm to determine whether they could follow nine human communicative gestures previously tested with domestic dogs and captive wolves. Dingoes passed all cues significantly above control, including the “benchmark” momentary distal pointing, with the exception of gaze only, gaze and point, and pointing from the incorrect location. Dingo performance appears to lie somewhere between wolves and dogs, which suggests that domestication may have played a role in their ability to comprehend human gestures. The authors are indebted to Peter and Lyn Watson at the Dingo Discovery Centre, Victoria, Australia for their generous help and support, as well as volunteers Beth Haywood and Jacki Hutchins for their tireless efforts during data collection. Thanks also to Rob Appleby and three anonymous reviewers for valuable comments on the manuscript. This experiment complies with the current laws of Australia (IMVS Animal Research Committee, project number 121/07).